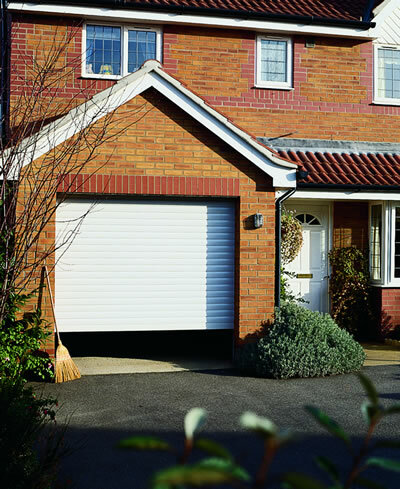 Explore our range of quality garage door styles, finishes and colours. We offer top quality garage doors with a bespoke, expertly installed service. Our expert advisers are on hand to help select and design your new garage door to the right specification for your requirements and ensure that the finished product complements your home perfectly. 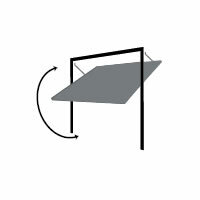 Up and over canopy doors are the most popular style of lifting gear used in the UK. 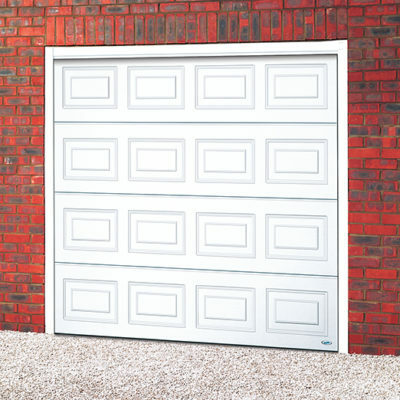 This type of garage door opening is ideal where headroom is limited. An alternative lifting gear for up and over doors. 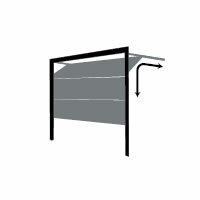 Horizontal tracks are attached to the top of the door frame to guide the door open, providing a very smooth opening and closing action, ideal for electric operation. Roller doors travel vertically, forming a compact coil above the doorway so there is minimum space requirements. The slimmed down version of the Thermaglide is an option where there is less headroom available. Vertical opening provides the convenience of parking right up to the door. 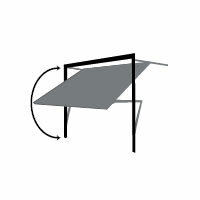 An extension or torsion spring operation allows for a super smooth mechanism. Enclosed moving parts and push away joints ensure finger safe opening and closing. 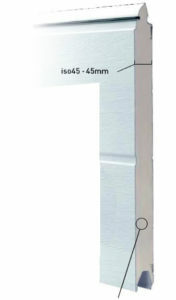 AppleÃƒÂ¢Ã¢â€šÂ¬Ã¢â€žÂ¢s insulated sectional steel doors are comprised of individual sections connected together by hinges. 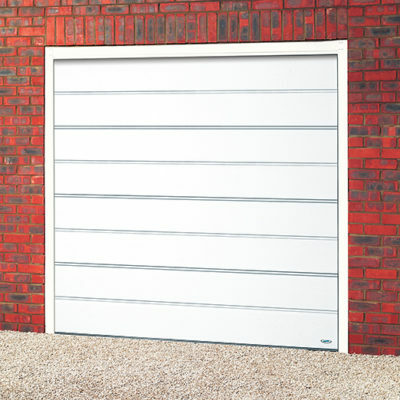 The door opens vertically into the garage and with no ÃƒÂ¢Ã¢â€šÂ¬Ã‹Å“kick outÃƒÂ¢Ã¢â€šÂ¬Ã¢â€žÂ¢ as it moves, providing you with up to three feet of increased drive length compared to Up & Over Garage Doors. 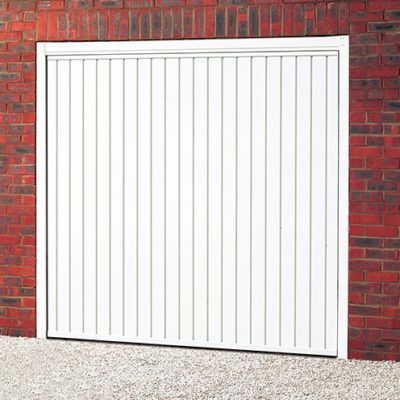 Sectional doors are also very attractive in design – high quality materials, incorporating the latest innovations in manufacturing technology together with a wide choice of options give your garage an individual look. Add the built-in insulation, which provides both a thermal and acoustic barrier, helpingÃƒâ€š to control your energy bills, reduce noise andÃƒâ€š possibly your carbon footprint. 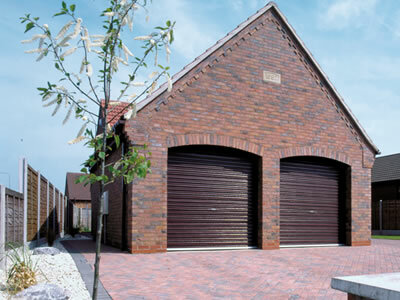 Insulated sectional steel doors are bespoke and made to order. Woodgrain and smooth doors are also available in a range of ‘Super Colours’ of your choice of RAL colour. Insulated door leaf made from double-skinned galvanised steel sections with CFC-Free PUR foam core, which provides top sound-proofing and excellent heat insulation, keeping the cold out and the warm in. 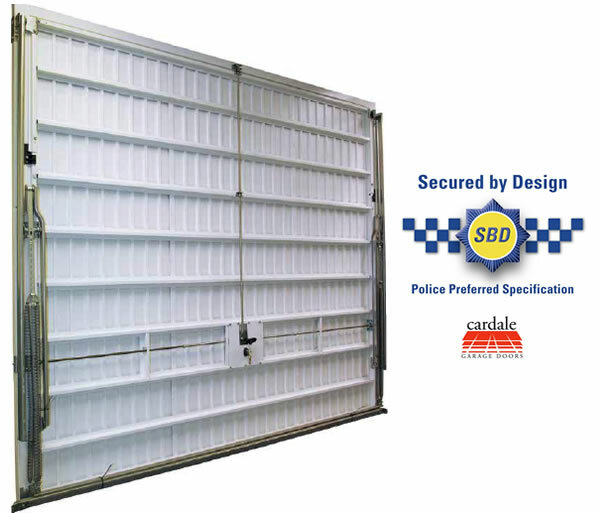 Gemini and Europa II Secured by Design doors are certificated to CS 5051 STS202 which is approved by ACPO Association Of Chief Police Officers. 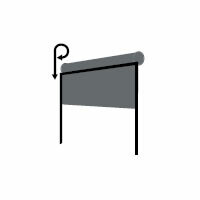 are supplied as standard in white, however colour matched frames are also available. Supplied with our black ÃƒÂ¢Ã¢â€šÂ¬Ã…â€œDÃƒÂ¢Ã¢â€šÂ¬Ã‚Â handle. Secured by Design doors are bespoke and made to order. Gemini and Europa II doors featuring retractable lifting operation and including a 70mm steel fixing frame are available in any size up to and including 2438mm wide x 2134mm high. 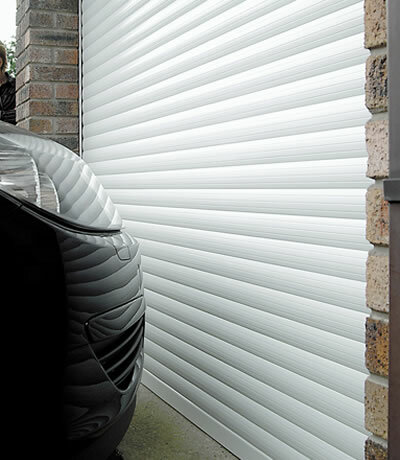 Thermaglide takes the concept of the roller garage door to a new level. 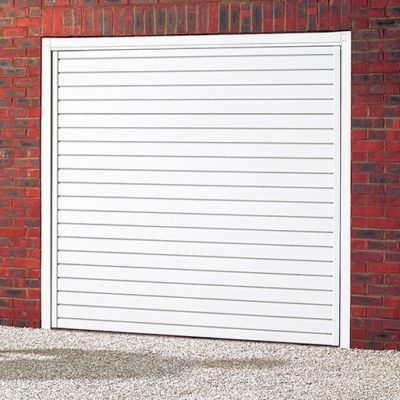 It out-performs the ordinary garage door for ease of use, insulation, finishes, safety and security and all doors are manufactured under strict and controlled guidelines. Remote control as standard makes operation effortless. The door is practical too – vertical travel allows ÃƒÂ¢Ã¢â€šÂ¬Ã…â€œpark right upÃƒÂ¢Ã¢â€šÂ¬Ã‚Â convenience inside and out and provides maximum drive through width and height for MPVs and 4x4s, gaining up to 150mm in width when replacing a conventional door and frame. 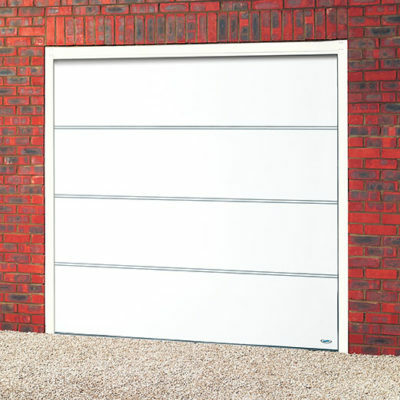 It also allows the door to fit garage openings of all shapes and sizes. Where headroom is especially tight, the Thermaglide 55 has all the features of Thermaglide 77 but requires only 205mm of headroom and is available up to 2.8 metres wide and 2.4 metres high.